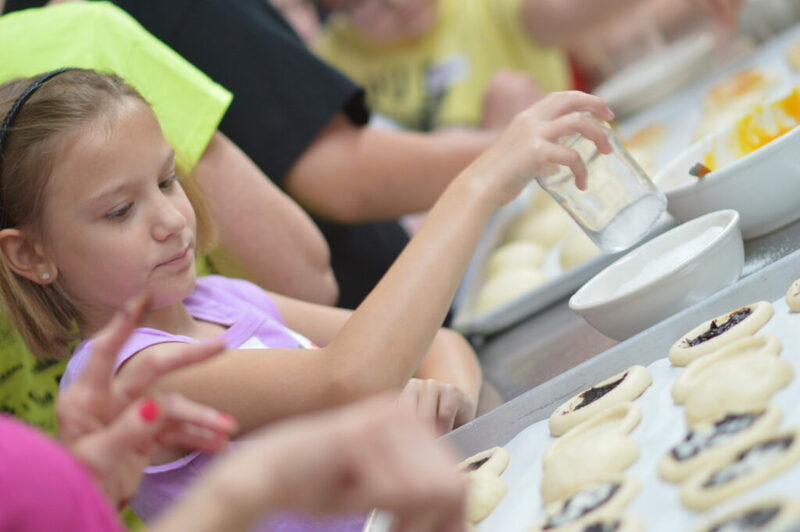 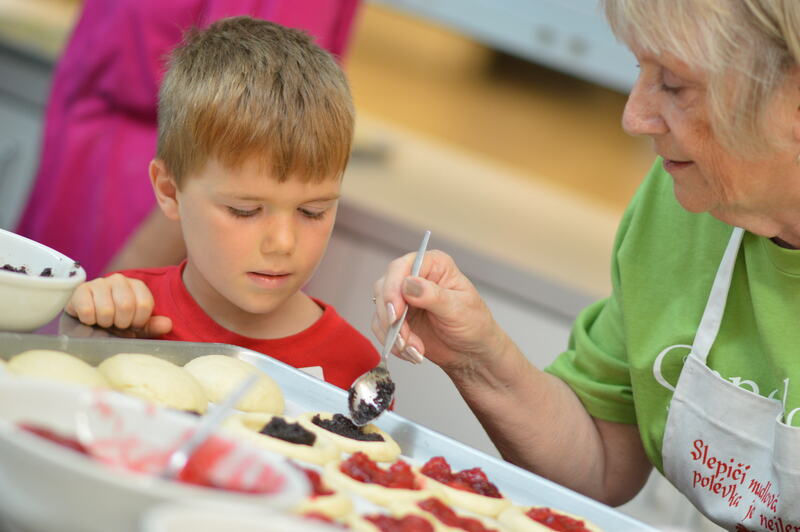 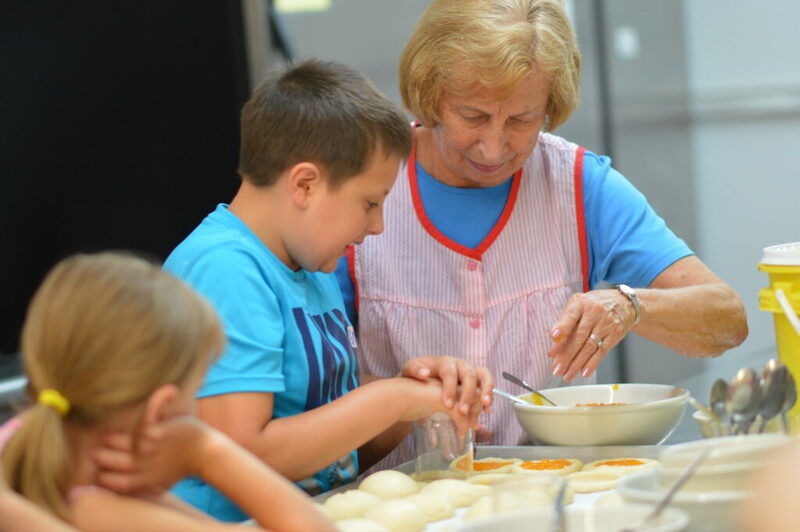 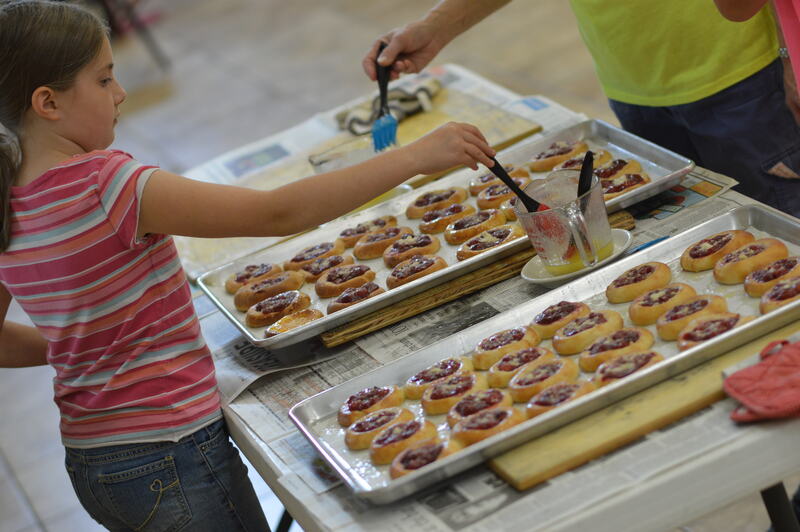 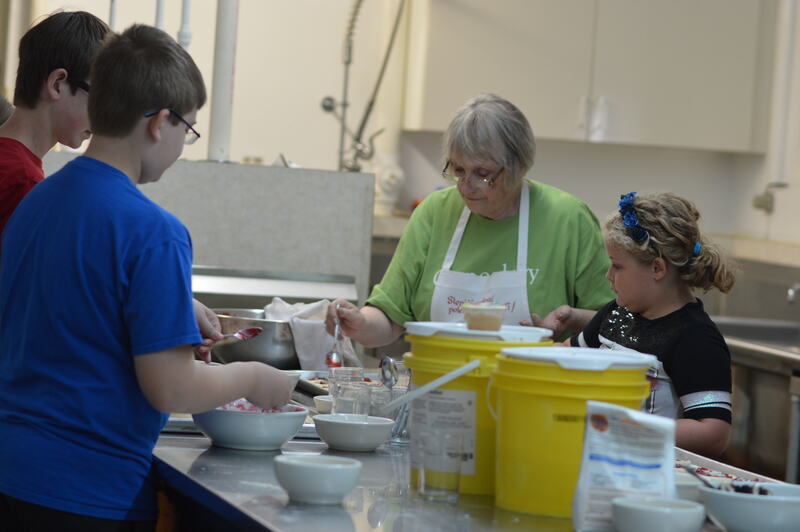 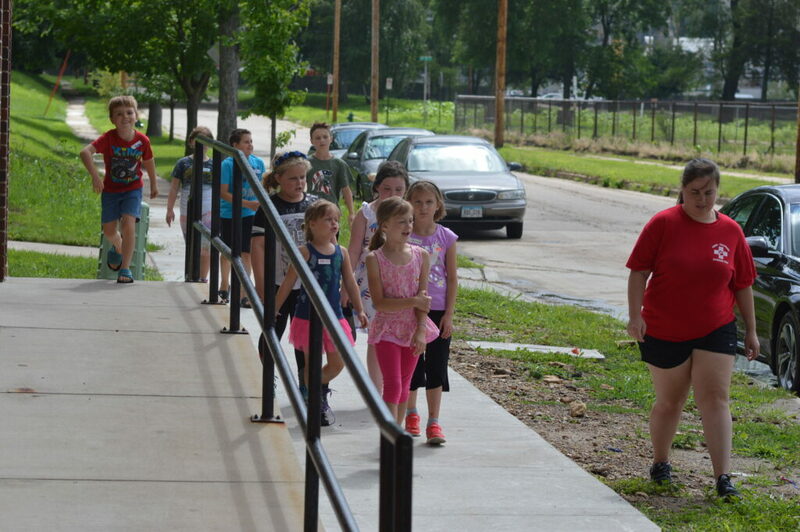 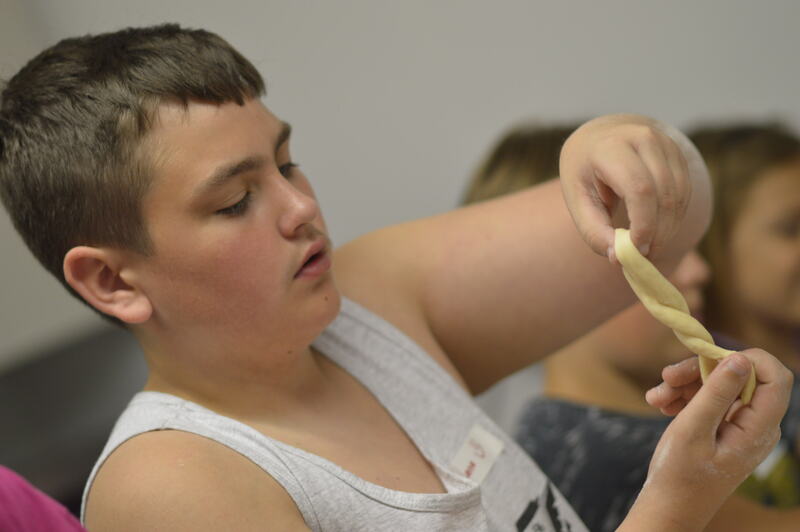 CEDAR RAPIDS, Iowa – Czech School students learned how to bake kolaches today, with help from the expert kolache-makers from St. Monica’s Circle at St. Wenceslaus Church. 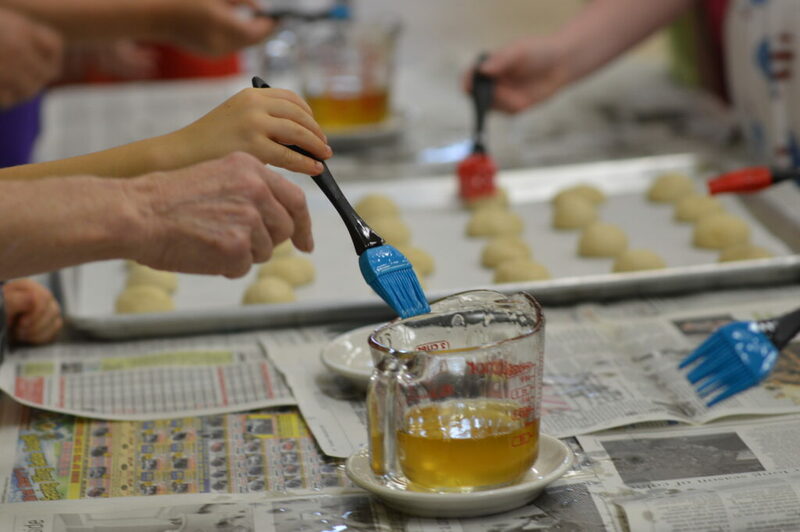 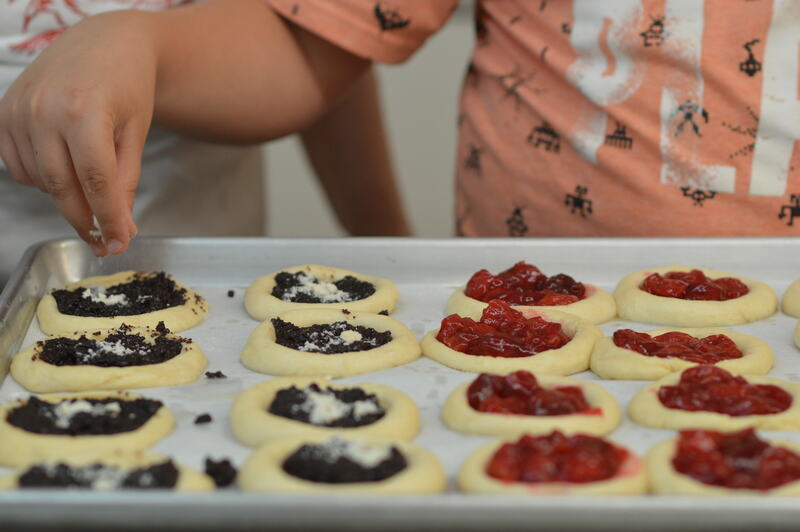 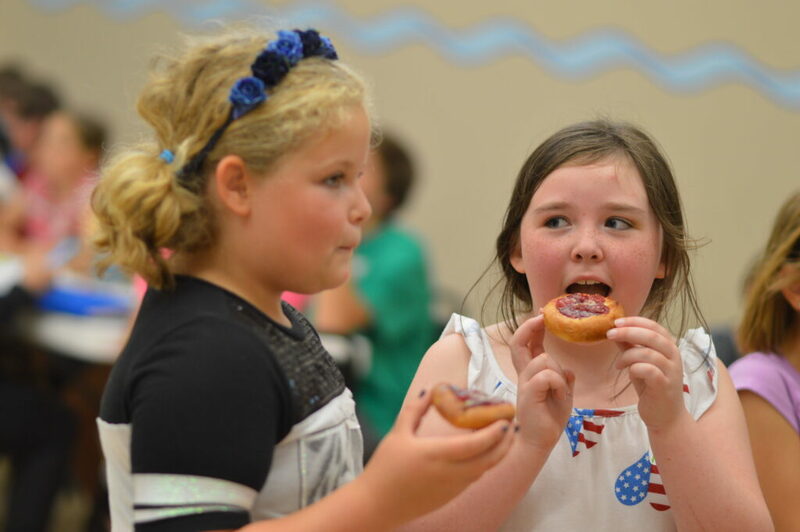 Students rolled balls of the dough, used a glass to form a perfect circle in the center and filled the dough with poppyseed, cherry, apricot and prune filling, and buttered the end product before tasting the fruit-filled Czech favorite after baking. 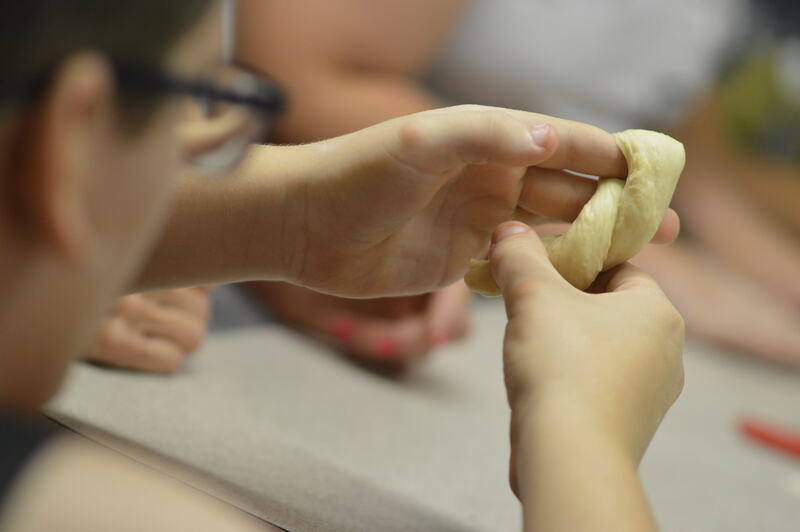 A few also tried their hand at making rohlicky, a Czech twisted dinner roll. 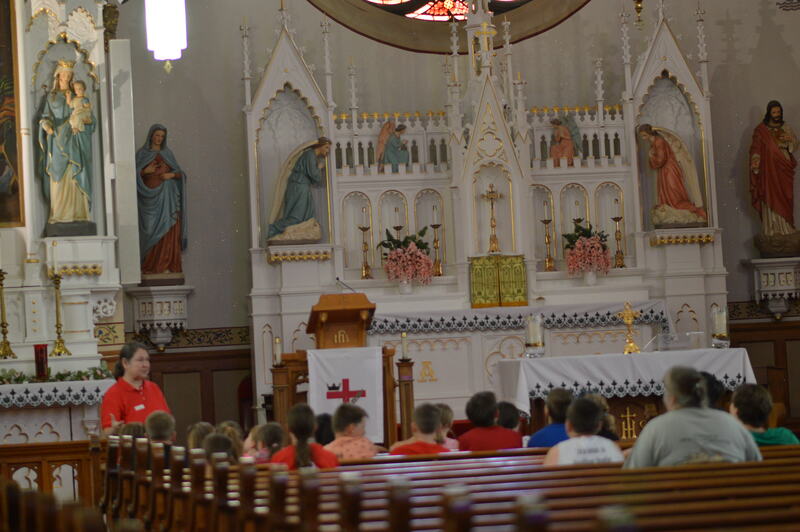 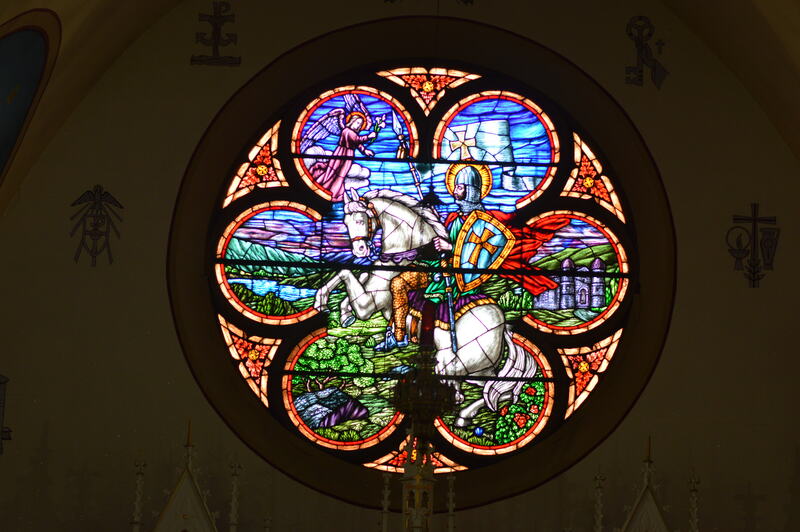 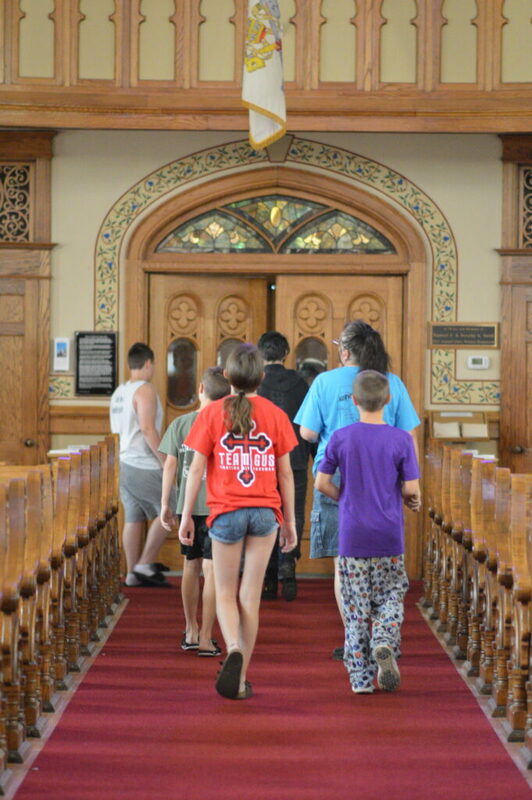 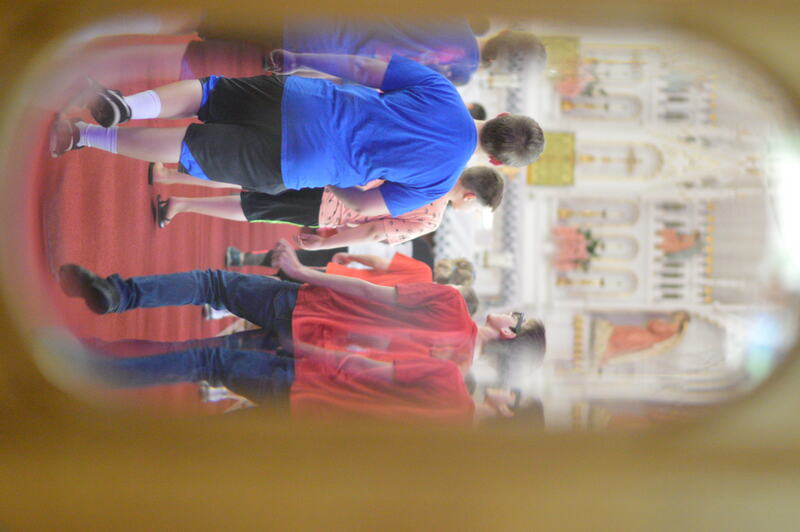 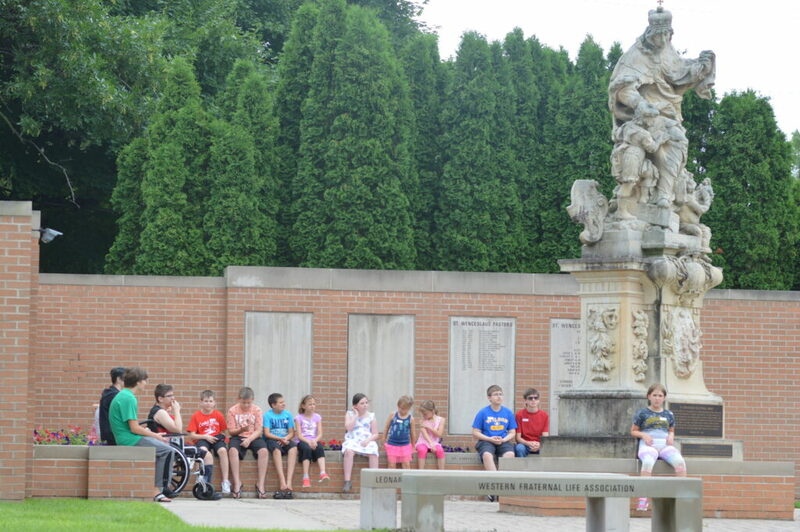 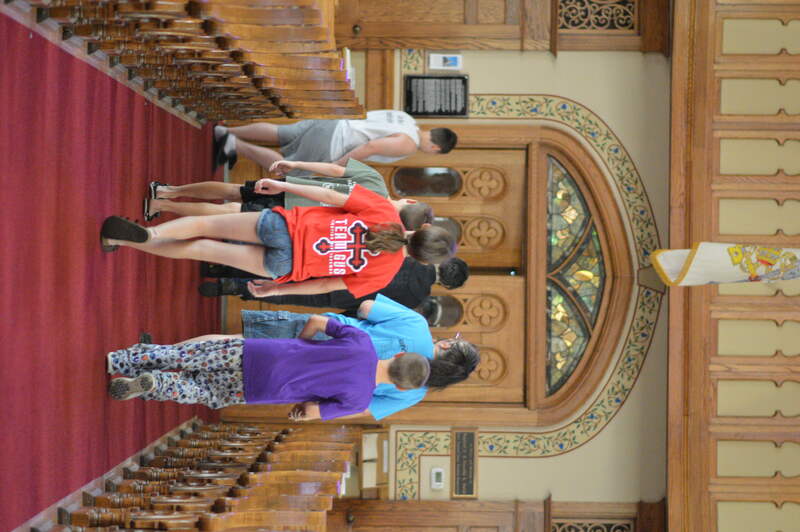 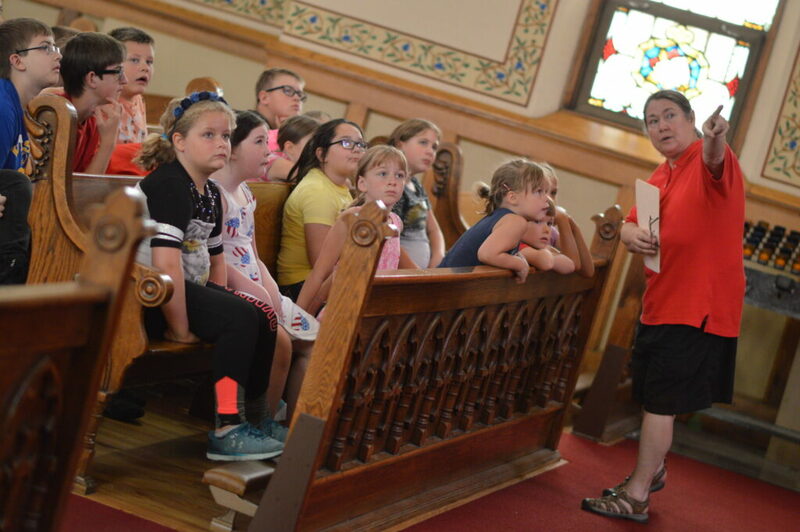 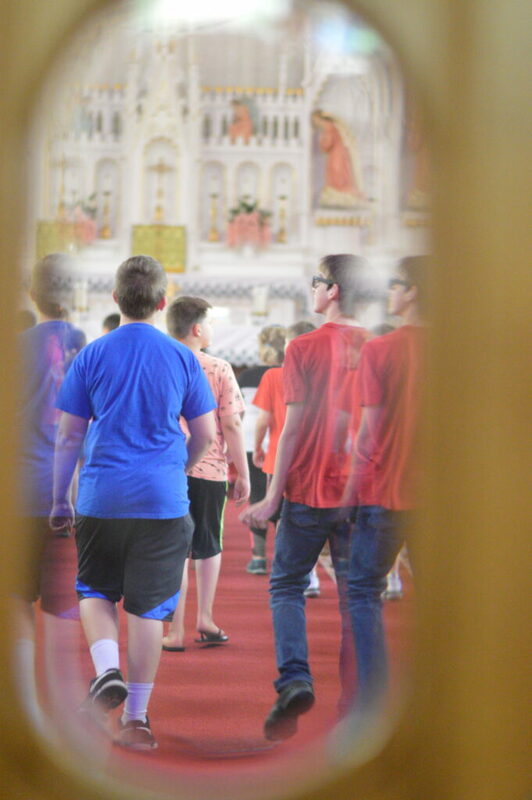 They also toured the historic St. Wenceslaus Catholic Church, built in 1904, and the neighboring Czech Heritage Park, featuring a St. Ludmila sculpture created in the Czech Republic. 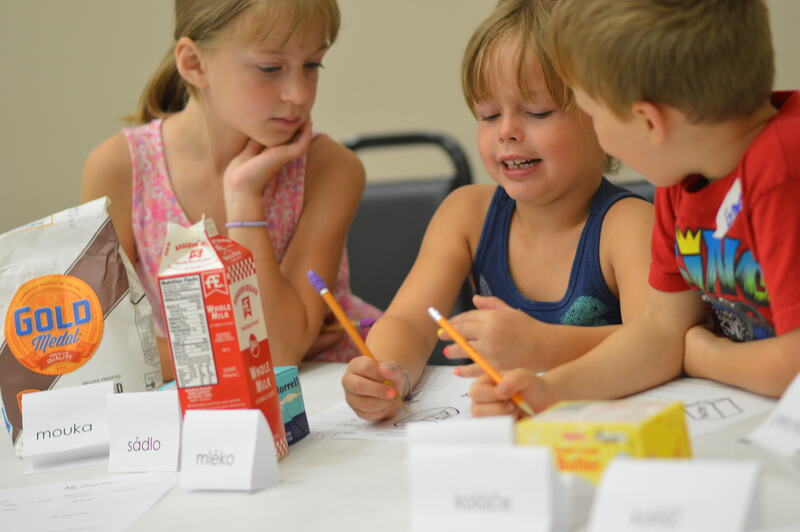 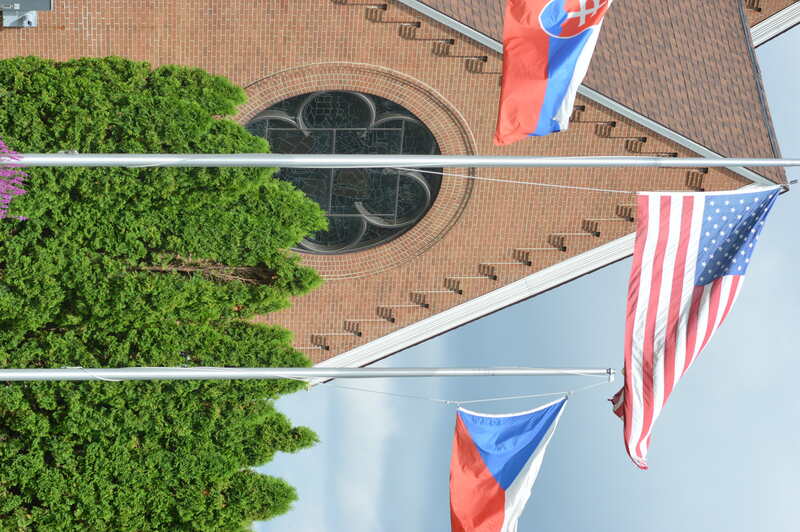 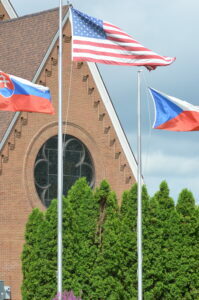 The church, founded in 1874 by Bohemian immigrants, is a Czech National Parish, meaning any Catholic of Czech origin can, regardless of parish boundaries, be a member of the parish.